﻿We've all faced challenges in our lives that we did not feel prepared for. Perhaps you've just lost your job, a loved one passed away, or a long-term relationship ended. When faced with such heartache and uncertainty, we long for answers that will help guide us to the right choice on how to move forward with our lives. Should you take that pay cut and work at this new place? Should you finally start your own business? Were you two truly not meant to be together? There are so many questions that can arise that we can feel overwhelmed with the stress of both trying to keep our lives together, while simultaneously not knowing how to move on. An intuitive psychic can provide you with the insight you need to clarify this hectic life around you. Psychic readers have remarkable insight when it comes to life’s troubles and can help guide you to the right path. 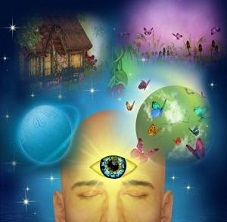 A psychic reading can be a beautiful and eye-opening experience. Our busy lives can close our eyes to the world around us and block out the sometimes obvious answers we so desperately need. When you get a psychic reading, the psychic empath steps into your life, in a way, and views it with an unbiased perspective. This is invaluable because gaining advice or insight from someone that is not emotionally attached to your issues allows you to receive the guidance as genuine. They have no agenda, no ill will, no malicious intent. They only wish to offer help. Psychic empaths are so named because they are able to feel and understand your emotions on a different level than a friend or family member. Getting a psychic reading can either be remarkable and uplifting or sometimes feel strange because the empath may know things that you do not feel that they should know. It is important to always enter a psychic reading with an intuitive empath with an open mind and no strong expectation for a certain answer or experience. Let the empath offer you what they see, rather than expecting them to tell you what you want to hear. One very common misconception is that psychics and intuitive readers have access to all the details of your life just by closing their eyes. Luckily for anyone with a bank account or a skeleton in their closet, this simply isn’t true. Psychic empaths feel the truth and sense it in the same way you would sense someone entering the room with you. You may not instantly know who that person is. But maybe you can smell their cologne, hear their heavy boots on the floorboards, or see their shadow on the wall. There are clues available to you the more you focus and the image becomes clearer of who is standing behind you. The same is true for intuitive psychic readings. The psychic empath can sense the answer, truth or path that you should follow but they need to focus to obtain the details - just like you need to use all of your senses to determine who has entered the room with you. The difference is that many psychics or intuitive empaths are said to have an extra sense than our usual five. Rather than the simple five senses of sight, taste, smell, touch and hearing, psychics are often credited with having a unique ability to sense the ethereal, spiritual or supernatural.Some empaths are born able to easily tap into this sense while others spend years or decades harnessing it. It is not a flawless system and it takes regular practice to maintain good clarity. Intuitive psychics that have been doing psychic empath readings for years or even decades have attuned themselves to the nuances of reading someone so that the once subtle hints are now crystal clear and evident. This is not to say that new psychics do not have natural talents for reading people but oftentimes people enjoy clearer, more thorough readings from more experienced psychic empaths. Before you begin a psychic reading there are a few things you should do to prepare yourself for the experience. Preparing your mind, body and spirit for a psychic reading will allow the intuitive empath and yourself to enjoy a clearer, more beneficial reading. If you are in the practice of meditation then it is highly recommended that you meditate briefly before your empathic reading. You want to be relaxed, receptive and open. This improves the channel between you and the empath and can help remove or reduce negative emotions and stress. If you have been sick or in ill-health it is advised that you wait to have your reading done unless your reading is in regards to the illness. Your body influences your mind and can muddle up your ability to get a clear, concise reading from the psychic. Be prepared to open your soul to the truth. A genuine and honest psychic empath reading will sometimes not provide you with the answers that you want. For most of us, if we look deep enough within ourselves, we know that the honest truth is sometimes hard to take. Luckily, psychic empaths have pure and genuine concern for you and will offer you advice and guidance in a way that is compassionate to your situation. This is because empaths not only can form a psychic link to see your life’s troubles, but they also feel the emotions that burden you. An experienced intuitive psychic will give you a reading that is honest, genuine and helpful but you need to be ready to receive. ​The best readings come to those who are ready to hear the truth. After all, that is why you choose to have a reading in the first place, because you want answers to help you move forward with your life. Clear your mind, prepare your body and open your soul. Be honest with your empath and trust that they care about you. View them as a trusted friend and a reliable advisor. Use their message to the best of your ability but let them know if you do not know how to use their message. If you prepare for a psychic reading in this way then you will find the answers you need. Best of luck to you and your path.